Jaguar Land Rover has now confirmed it plans a new model, to slot below the XF sedan, intended to compete with the world’s most famous midsize luxury sports sedan, the BMW 3-Series. I’m sure the management, designers and engineers will do much better this time around, after the much-criticised X-type. There were many lessons to be learned after that fiasco - I hope they are heeded. Back in 1993 Ford Motor Company, then owner of Jaguar Cars, proposed a ‘small’ saloon which could challenge the BMW 3-Series. The idea was greeted by Jaguar’s management in Coventry as ‘interesting’, but ultimately of little interest at the time. The company was about to launch the X300 large sedan and prospects looked good, and it was thought that a ‘small’ Jaguar might erode the image of the brand, which was always known for high performance, large saloons, with lashings of wood and leather. There were also some realists among the engineering staff who realised that to ‘challenge’ the 3-Series was going to cost a LOT of time and money. They doubted Ford really wanted to commit ALL the resources and funds necessary to be completely successful. As part of Jaguar’s North American senior executive team at the time I was involved in a number of discussions where we voiced our view that we did not want/need this car in the American market. However, we were always bluntly told that if it went ahead, Jaguar Cars NA would take its share of production. Then politics intervened. In the UK, Ford of Europe, needed to shut a major Ford manufacturing facility in Britain, with the loss of thousands of jobs. A deal was done with the British Government that the trade-off would be that a ‘division’ of Ford would begin production of a ‘new model’ at the company’s Hailwood plant - which was hoped would soften the blow of massive unemployment. Ford of Europe management then TOLD Jaguar Cars to stop ‘pfaffing around’ - the X-type would be a reality, and it should get on with the plans. Job done. 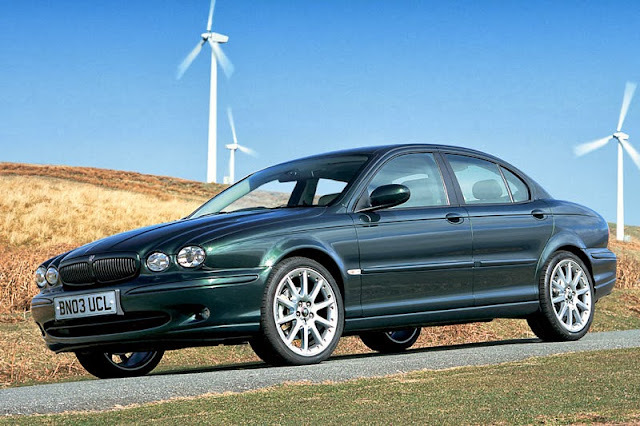 Design chief, the late Geoff Lawson, and his head designer, Wayne Burgess, did a commendable job of downscaling the styling of the current XJ6, to produce a ‘small’ Jaguar, but for reasons of economy the car would be based on the current Mondeo. The sop to performance enthusiasts would be that the car would be All-Wheel-Drive, rather than FWD like the Mondeo. My good friend, Steve Cropley, Editor-in-Chief of Britain’s Autocar told me at the time that the engineers had done a 'pretty good job' creating a small Jaguar based on the Mondeo, aka the "Travelling Salesmens’ Express". Now came the hard part - selling it! In the public mind, Jaguar’s image (say, since 1968 and the birth of the first XJ6) had remained the same for decades. Big, high performance, sporting saloons with lots of grunt, great ride and handling, wood and leather - all at a very competitive price. It was sort of like a Bentley at a bargain price. Now along comes a much cheaper, smaller Jaguar, with no image at all, creating a perplexing situation for the market at large. It might even have been called ‘the answer to a question nobody asked’. So, the marketing guys were given the task of ‘creating’ a market and then selling 50,000 a year! A big ask. It was at this point that a series of differing, but intertwined decisions began to define a future for Jaguar, and the X-type, which was destined to fail from that moment on. American Jaguar customers didn’t know what to make of the car. Thus, it was a slow starter in the States. Jaguar’s then North American management then compounded the problem with a major ‘marketing misrepresentation’ (and herein lies a warning for anyone selling a new idea). The billboard ad campaign across America boldly stated “Under 40? So are we!” The intention here was to do what every luxury car maker dreams of - lowering the average age of its buyers, to create more sales potential. High priced luxury sport sedans are usually the domain of older, wealthy males. Guess what? When you got into the showroom the 40 Grand X-type was a dog. It was the ‘starter’ powertrain package, stripped of the most desired equipment, poor paint choices and basically, whatever you wanted on YOUR car cost a lot extra. To the point where the most-favoured specification usually ended up taking the price north of $55,000. Dealers were told this was their opportunity to make more margin out of a low-priced model, which didn’t offer a lot of profit margin in the first place. After that Jaguar was in no danger of selling vast numbers of X-types, and despite lots of marketing dosh and discounts, the X-type never really took off in the USA. That’s not to say it wasn’t popular - just not with the people Jaguar hoped would buy it. Younger buyers never even considered it, and most sales went to retired corporate CEOs who were used to a big Jaguar as part of their package, and the X-type meant they could still drive a Jaguar in retirement. It didn’t hurt that it looked a lot like the XJ6 as well. So when you watched the traffic in most major markets, X-types were mostly driven by old guys puffing cigars, or pink-haired grannies off to play golf. Next, the X-type then set up Jaguar as a laughing stock inside and outside the auto industry. At the time of its launch, Ford strategists obviously briefed the financial media in London, New York and Frankfurt. It was what they told them that caused the problem. Note, at this time, the briefings were conducted by Ford Finance Suits, not Jaguar management. The strategists told the most influential analysts (in New York) that Jaguar was on the verge of a huge leap in sales and with the addition of the X-type, overall Jaguar sales could top 120,000 cars a year, making the Jaguar division of Ford immensely profitable - rather than a company which soaked up money and returned very little in the way of profit. The analysts, who wouldn’t know the truth of any of this and who just report what they are told, promptly wrote up the good news and then sat back and waited for profits to appear. 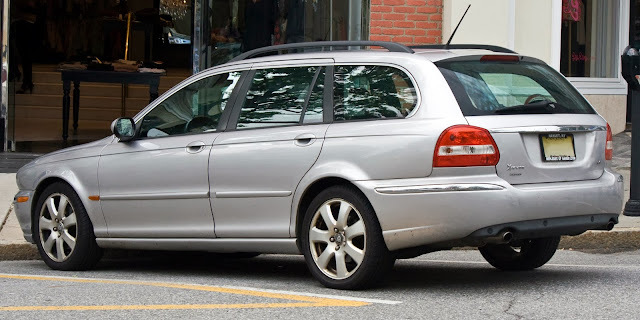 The Europeans shunned the car because there was no diesel engine; the Brits shunned it because they thought it was too downmarket (and they all knew what a Mondeo was, although X-type only shared 20% of Mondeo parts). The Yanks weren’t interested, so sales plateaued. After a couple of dismal years, Jaguar Cars, and especially Ford, began getting damning press, with finance journalists claiming the company was not as profitable as they’d been told it would be, and began describing Jaguar as a dead weight around Ford’s corporate neck. At that point the analysts were urging Ford to dump the goose and cut its losses. The X-type soldiered on, eventually making just over 300,000 cars in total between 2000 and 2009, and in its final days Jaguar added a smartly-styled estate version (station wagon) designed by the current saviour of Jaguar Design, Ian Callum. However, the damage was done and Jaguar Land Rover finally executed the X-type in 2009. 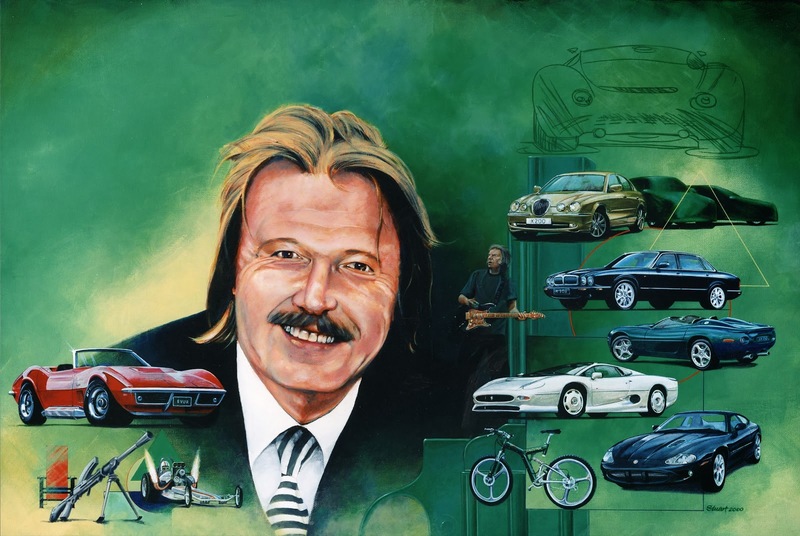 Consistent with this situation, Ford had jerked Jaguar Cars Chairman Sir Nick Scheele out of his job in Coventry and handed him a poisoned chalice as Chairman of Ford Motor Company, in Dearborn. Ford’s board then rotated a number of would-be’s through the office of Chairman of Jaguar, and the revolving door was kept spinning by guys who were more interested in ‘serving their time’ at Jaguar, before being posted somewhere else in the Ford empire. 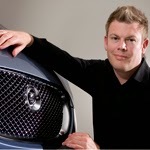 In 2007 Ford actually did do something right, by appointing Mike O’Driscoll as Managing Director of Jaguar Cars. Mike and his team skillfully guided the company through the transition from Ford ownership to Tata Group. After that, things began to look up and Jaguar is now leaping from strength to strength. A lot of this success is generated by Ian Callum’s great design sense, and the new cars he has been responsible for - XF, XJ, F-type - and now the new SUV, based on the C-X17 concept shown in Frankfurt this year. 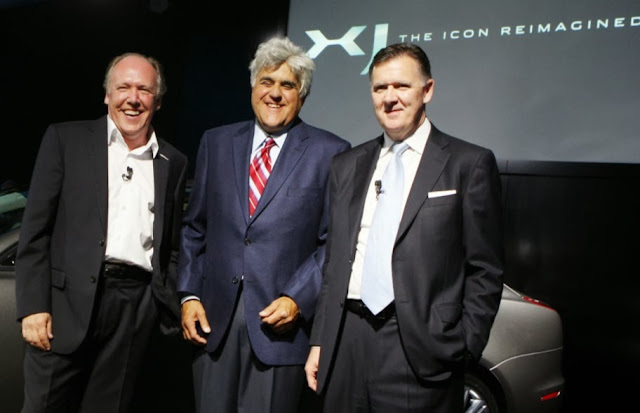 It’s Ian’s vision, design talent and integrity, and respect for Jaguar’s traditions that has pushed Jaguar along to become not only profitable, and hugely successful in the USA, but also a credit to its current management and workforce. Not to mention the gentle and visionary patronage of Sir Ratan Tata. Geoff has designed one of the most beautiful GT of all time and I just have to thank him to enjoy myself of his creation! Jaguar F-Type - This Cat Roars!